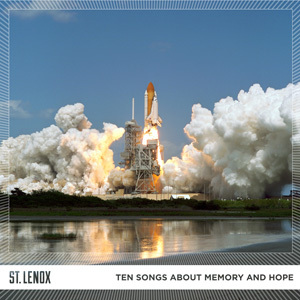 St. Lenox’s Ten Songs About Memory and Hope out now! We’re proud to announce the release of Ten Songs About Memory and Hope, the debut album by St. Lenox, the project of New York–based troubadour Andrew Choi. As its title denotes, it’s a brilliant record documenting the human experience from a unique perspective both lyrically and musically. A former Juilliard-trained violinist, Choi combines that classical experience with his love of pop and karaoke. (For more on his approach to songwriting, read this informative interview.) The album is already garnering good reviews (here and here) and was featured on NPR. It can be purchased on vinyl and/or digitally at Midheaven, Amazon, and local stores.